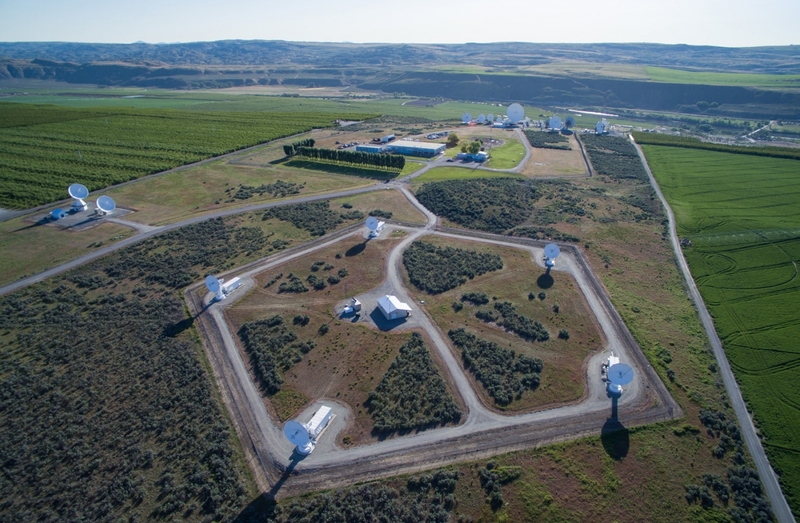 The Brewster, WA Teleport (BGS), in operation since 1966, is located four miles north of the rural community of Brewster in North Central Washington with a geographical location of 48.147° N latitude, 119.696° W longitude, and 380 meters AMSL elevation. 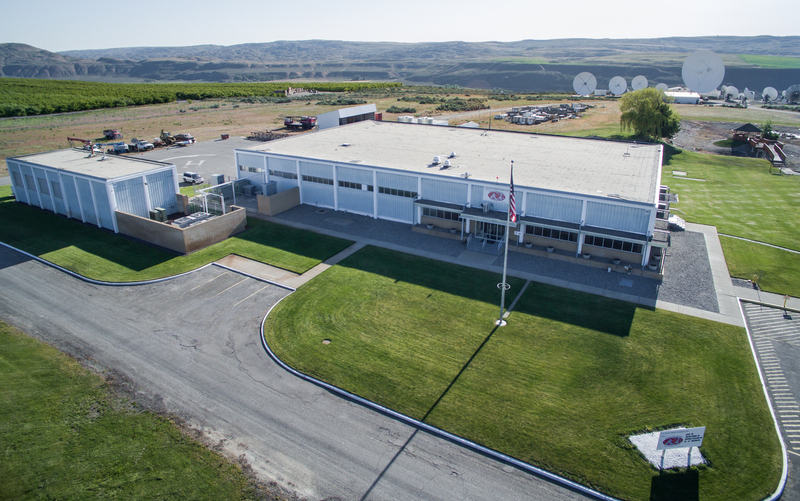 BGS is approximately three hours (140 miles) northwest of Spokane, WA and four hours (200 miles) north east of Seattle, WA. 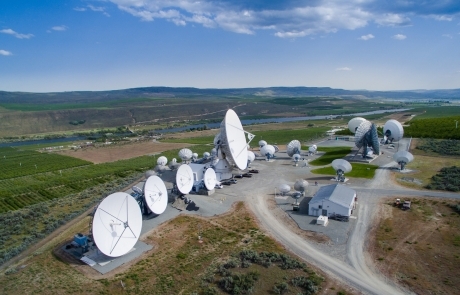 The teleport is located in the eastern foothills of the Cascade mountain range, on a plateau above the Okanogan River and offers both US domestic and international Pacific Ocean, and Central and South America visibilities. 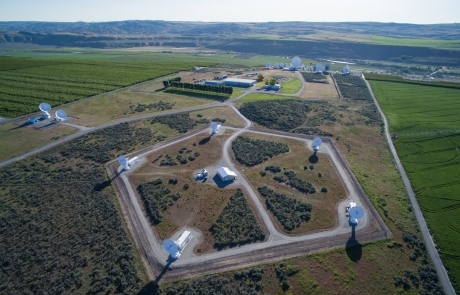 Other important advantages over other US Commercial teleports includes receiving less than 13 inches of total annual precipitation; is naturally shielded from Western Washington RF noise; and has ‘grandfathered’ FCC protection from interfering operators entering within 150 kilometers of the teleport. 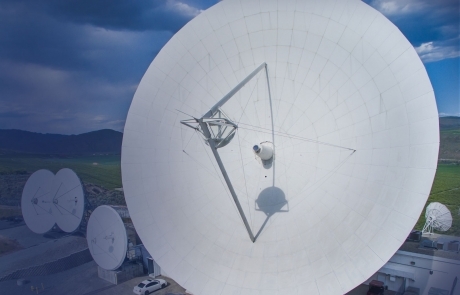 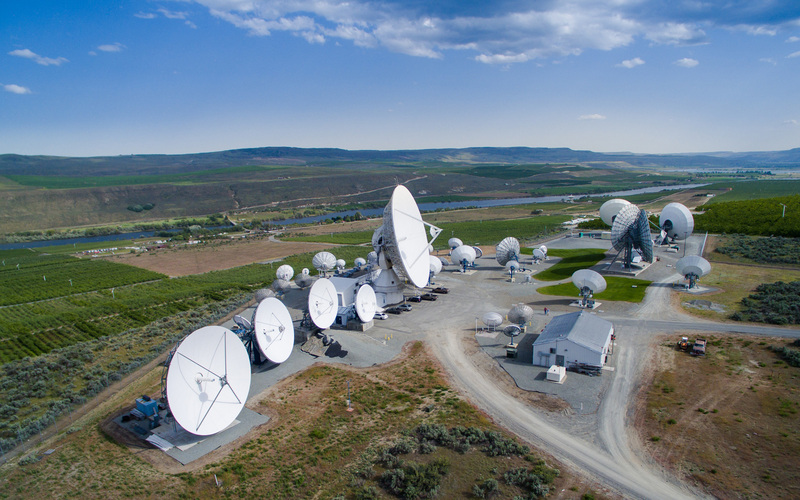 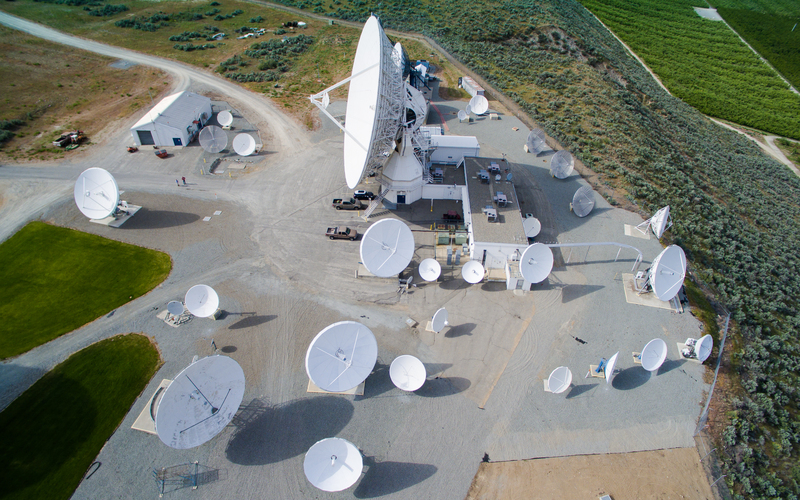 USEI has implemented more than 55 antennas at our Brewster, WA location. 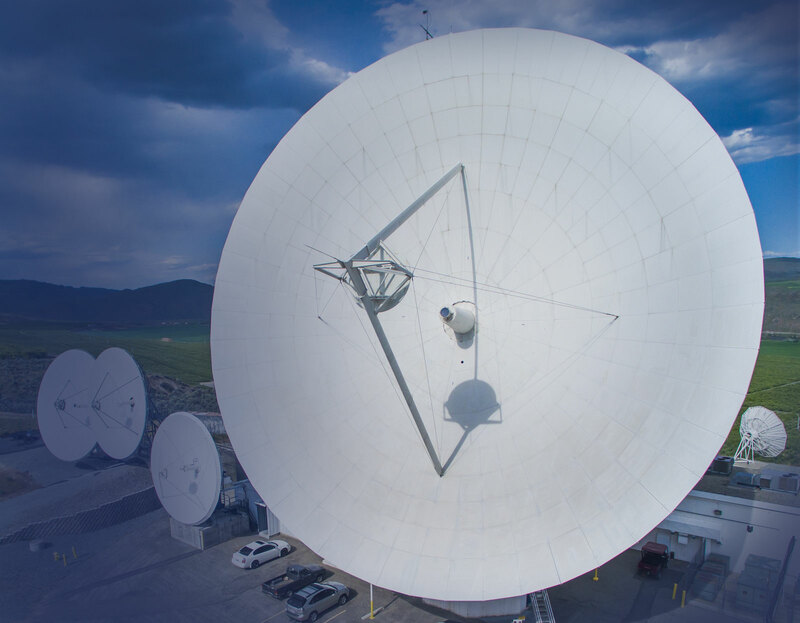 We maintain 16 antennas ranging in sizes of 9m, 11m, 13m, 16m, 18m, and 30m, including 5 Standard C-band antennas, and an additional 25 antennas of smaller diameter. The primary function of these antennas is carrying mission critical DOD services, which have always accounted for half of the services at Brewster. 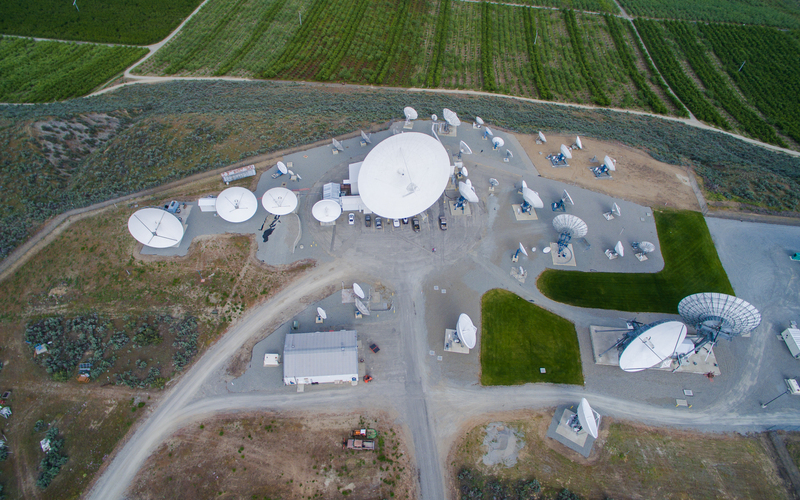 ​ Additionally, the Brewster location handles mission critical air traffic control services for the FAA, Sea Launch, regional emergency services, maritime services, aviation services and other commercial services.